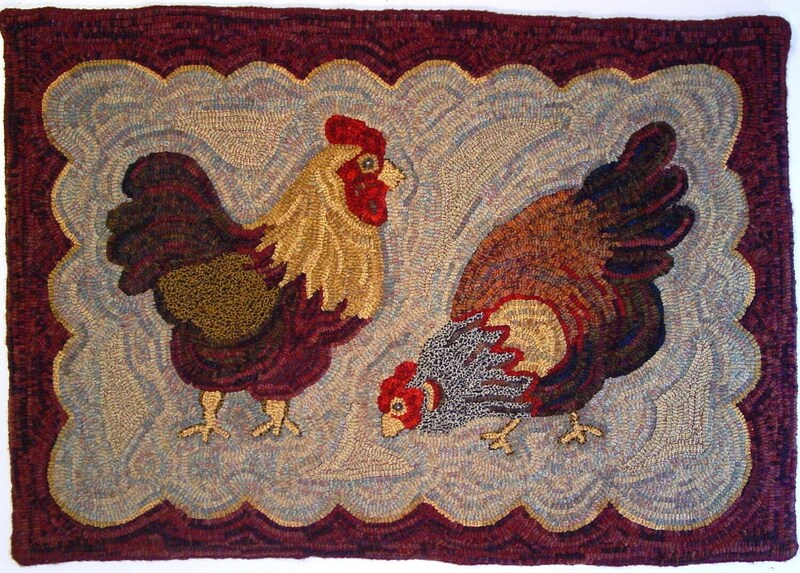 This listing is for the rug hooking "Two Chickens" 26" x 38". This is for the PATTERN only, not the finished rug. 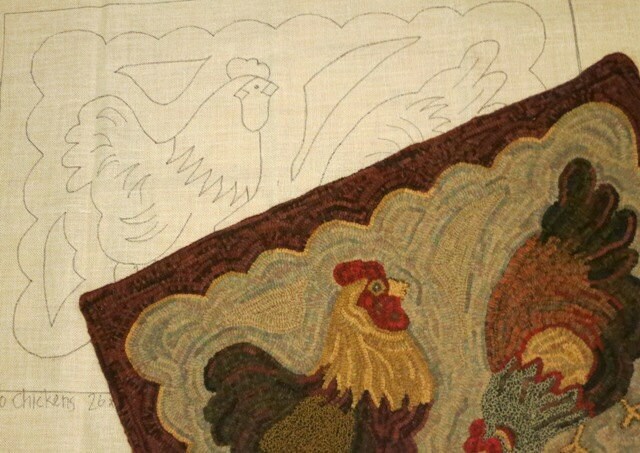 It is from my design collection and is based on vintage crafted "seed" chickens that hung in my mother's kitchen. 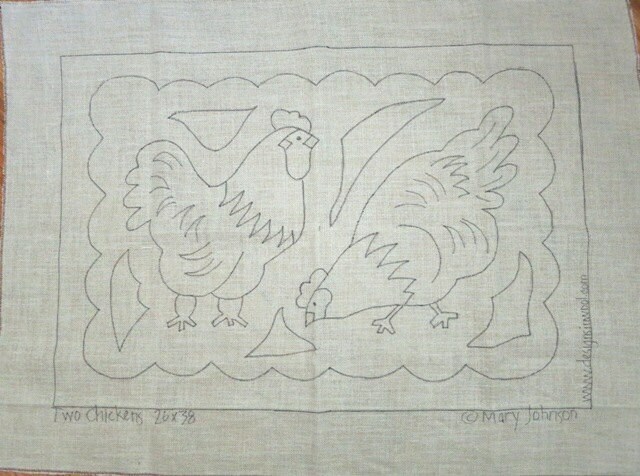 Choose your option to have it drawn up on cotton monks cloth or primitive linen. I hand draw with care to stay on the straight of grain so that your rug will finish squared up. The edges of the foundation fabric are serged and is 4" wide to fit over your frame or in your hoop. It comes with a color 4" x 6" photo. I have included a photo of my rug to show you the colors I chose and the finished project. It is a fun pattern to hook. © Mary Johnson/Designs In Wool. All designs are copyrighted, thank you for respecting copyright laws and not copying or reproducing this pattern. Mary has inspired me with her guidance and customer service above and beyond. Thank you! Another whimsical pattern that I couldn't resist! It is neatly printed on the linen backing and all the edges are serged. Very nice quality. I've tucked this away to work on at a later date.